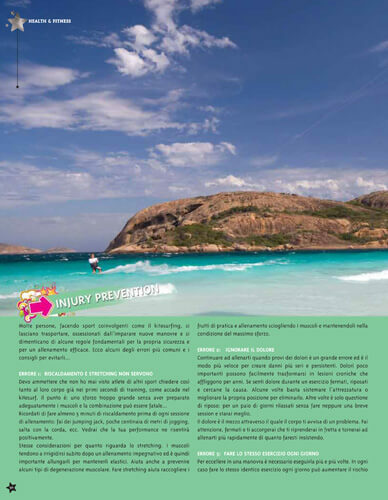 In this issue of GirLand Italia, I’m suggesting ways of ‘How to avoid Injuries’ as well as I introduce my very personal ‘Beach Workout’, once again as injury prevention but also as alternative workout for days without any wind! 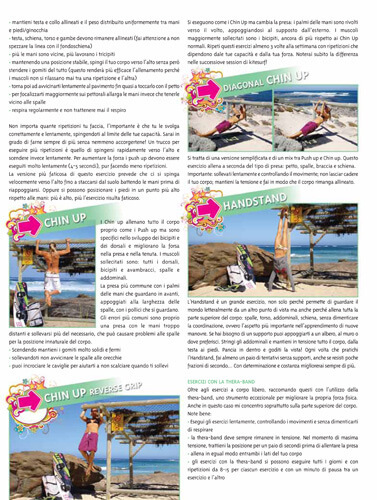 Both features were written by myself and addressed to kitesurfer-chix, though, any board-chic can follow my guidelines and workout-programm. 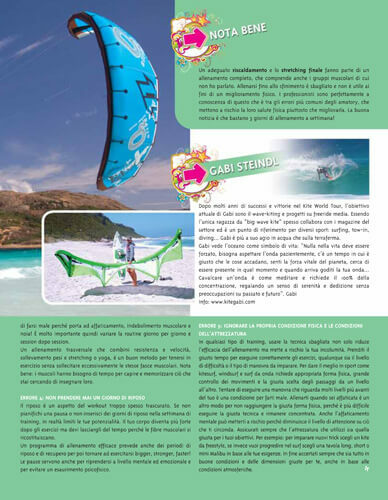 Yeah, give it a go, I’ sure u’ll see the benefits very soon !